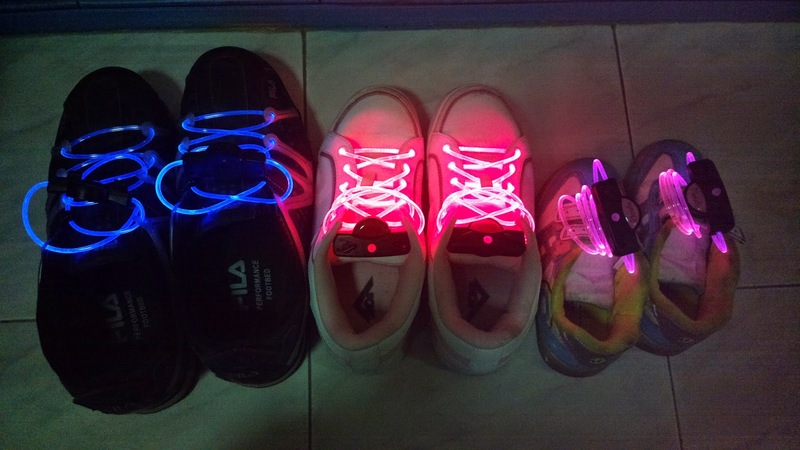 What started as a quest to find replacement shoelaces for my jogging shoes ended up with the LED laces below from an Olx shop online. 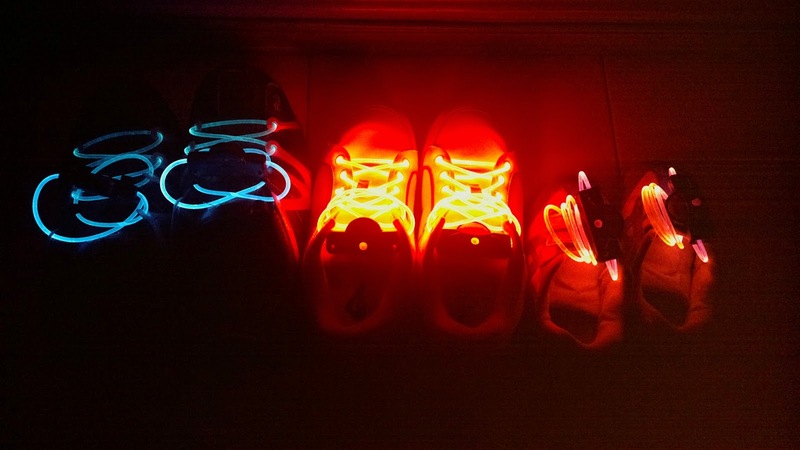 These LED lights and display colorful shoe laces are great for shoes you wear at night for jogging or partying. However, they're not recommended for powerful running, otherwise, the laces will fall off.